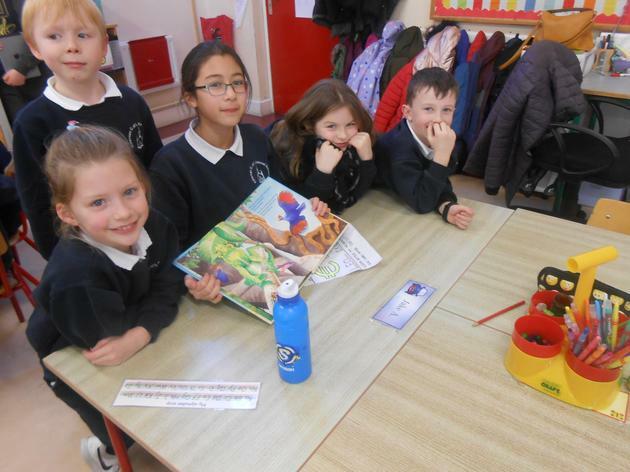 On Thursday 8th March, we celebrated World Book Day in school. Lots of us dressed up as our favourite book characters. We talked about our chosen books and did a book review. It was such a fun day. Check out the photos of our super costumes. Thank you so much to the PTA for all the delicious pancakes today. As you can see, we really loved them. 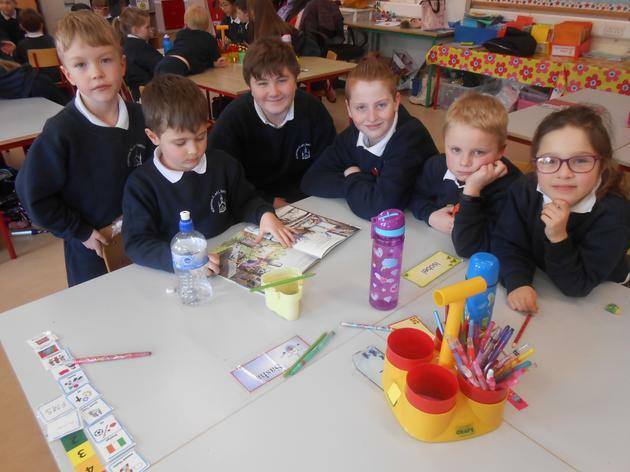 Two weeks ago, some of the boys and girls from 6th class joined us for a shared reading class. 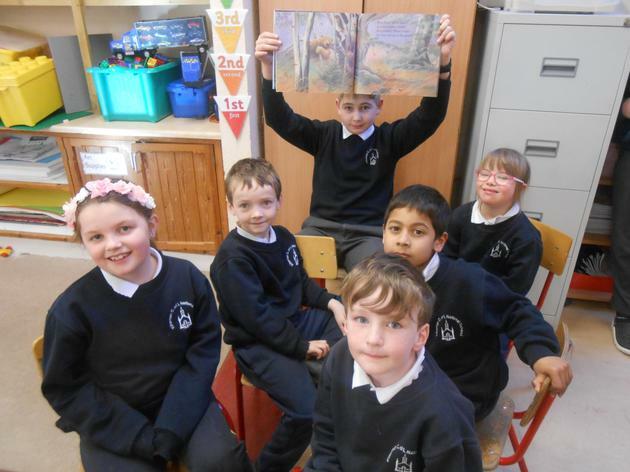 The 6th class boys and girls read to us and asked us questions about the books they had read. 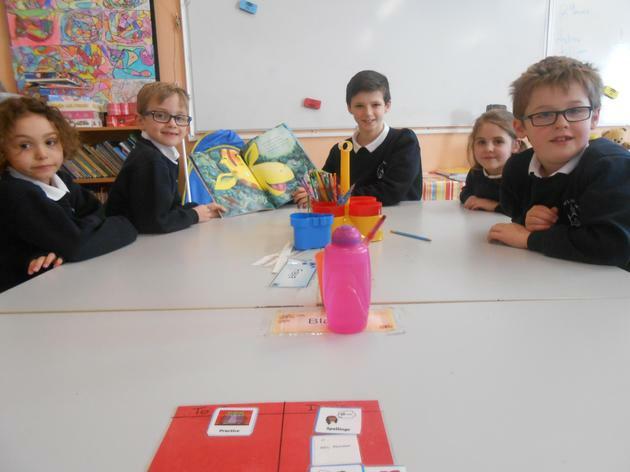 We also got to talk about about our favourite parts of the books read as well as summarising them in our own words. At the end we drew pictures about our favourite parts. 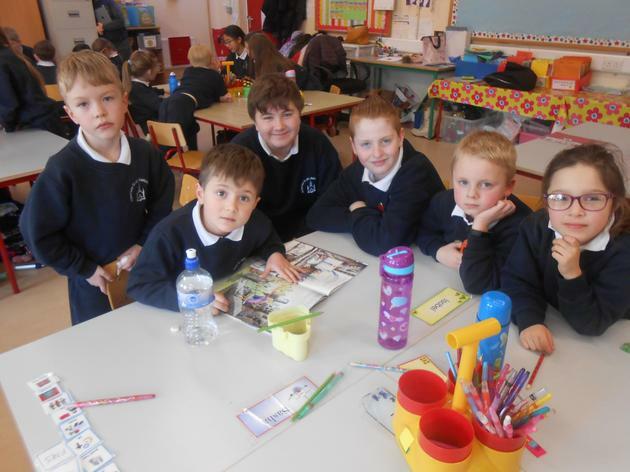 We all enjoyed it so much and really loved having 6th class come to visit us. In first class we have all been adding to our repertoire of 'dance moves' over the past few weeks. All the kids were so enthusiastic and to finish off our dance lessons in PE, we turned ourselves into human letters to create the word 'DANCE' in both lower and upper-case letters. We all had such a great day on Thursday 25th October as we came to school dressed up in our Halloween costumes. We played games, danced to 'The Monster Mash' and went to the cake sale and had so many yummy treats. Then the whole school got together for our annual Halloween Parade where all the pupils had a chance to show off their fantastic Halloween costumes as they took to the catwalk in the school hall. Check out the photos of all the great costumes in first class. On Wednesday 3rd October, we had a visitor to our school who taught us so many interesting things about nature - tree life cycles and the importance of bees to name just a few. We all learned so much and really enjoyed this interactive workshop. 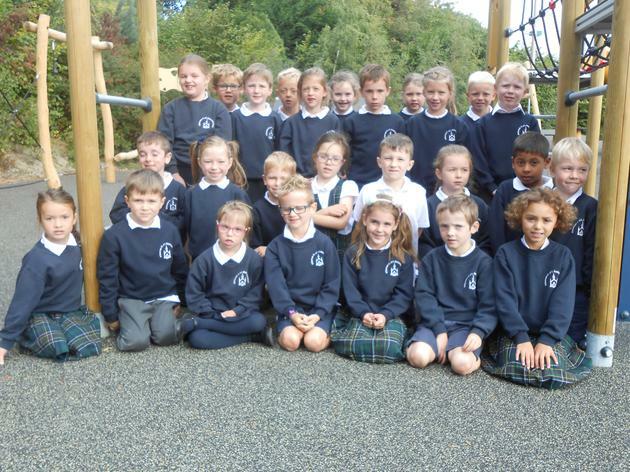 On Friday the 28th September we all took part in 'Colours Day'. All the kids had a chance to hang out with the other boys and girls in their house from both the older and younger classes. 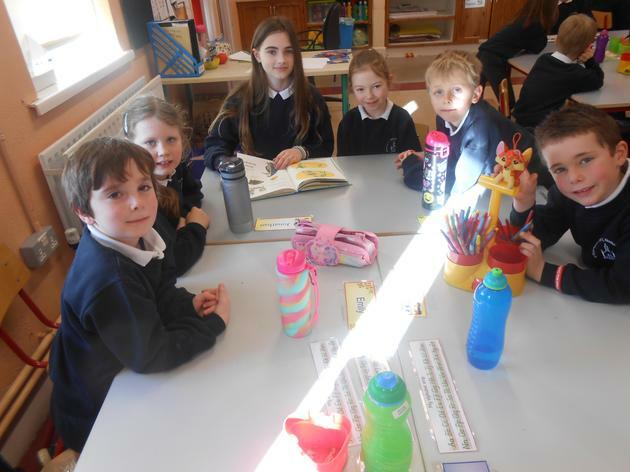 They took part in many fun, sporting activities and cheered on everyone else in their house as they participated in their classes activity. 1st class participated in a skipathon with 2nd class. The day finished with a picnic outside. We all had so much fun. Check out some of the photos from our 'Colours Day' below. We all had a fantastic summer and are very much looking forward to a fun year of learning ahead. 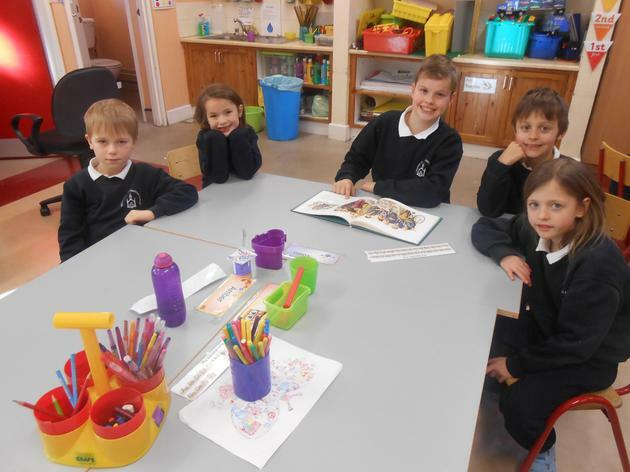 There are 27 very clever, fun-loving kids in 1st class and they are all so eager to learn lots of new things this year. Please check out our webpage once in a while to keep up to date with all the learning and fun activities we are getting up to in 1st class. Please see links below to some useful websites and other resources to aid in your child's learning.